Every enterprise has a pre-built enterprise cyber defence arm; their employees. Enterprises are only now starting to recognise the potential cyber defence value employees offer. 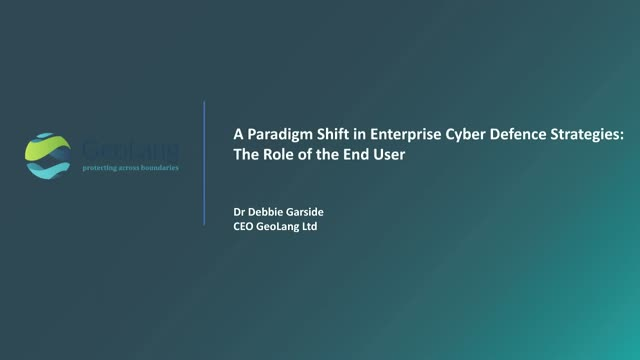 Harnessing and educating this currently untapped resource will change the face of enterprise cyber defence – putting responsibility on the front line, minus the blame culture. This webinar will highlight where and how your employees can add significant value to your Enterprise cyber defence in-depth strategy.